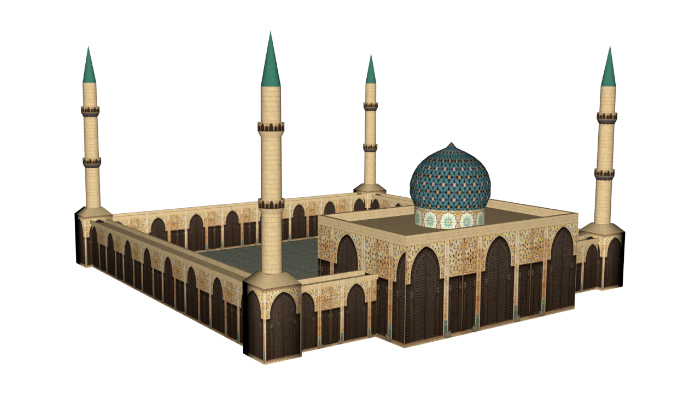 A procedurally generated mosque model generated by PMGS. The US Army SE Core program was the first customer for Conform in 2013 and the first customer for PMGS in 2014, and they continue to use the products today. In the first quarter of 2015, GameSim has sold several licenses of PMGS and Conform to new customers. These PMGS and Conform customers in the modeling & simulation industry have integrated the technology into their pipelines to produce synthetic environments faster at a higher fidelity. Conform offers a variety of unique abilities, including an instantaneous 3D view of raw source data. Users are able to easily import large amounts of geospatial data, including vectors, elevation, imagery, full-motion video, and Lidar, in near real time to produce a fused representation of the synthetic environment. Conform’s performance with loading assets and rendering speed is unmatched in the market. PMGS procedurally generates 3D models on-demand, with a focus on generating distinct 3D models for buildings, vehicles, and life forms. GameSim’s Procedural Model Generation Service offers an infinite set of random models as a cloud service, via a REST interface. PMGS can be used from GameSim’s Conform or integrated into other client applications. A 3D environment in Conform generated in near real time from raw source data. GameSim is excited about maintaining 2015 sales momentum, as it launches its first self-published video game later this year, Tiny Epic Kingdoms. GameSim products and services target the needs of the entertainment, modeling & simulation, and geospatial industries. GameSim engineers, designers, and artists maintain a customer-centric focus throughout the entire project lifecycle. Within the video game industry, GameSim can provide full game development services to publishers or work as a co-developer for other studios. Additionally, GameSim self-publishes products, bringing games directly to players. 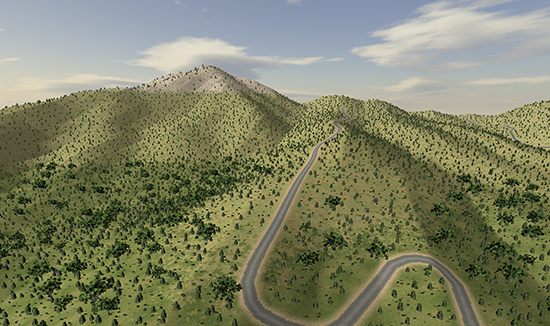 GameSim’s geospatial terrain tool, Conform, is the fastest product on the market for importing and fusing geospatial datasets to produce high-quality visualizations of the environment. Conform is used for military simulation, entertainment, urban planning, virtual worlds, and crisis management. Within the modeling & simulation industry, GameSim primes contracts with the government, as well as subcontracting to partner companies.